Did Crown Princess Mary Purchase Her New Tiara Herself? The sight of the beautiful Princess Marie had barely faded before her sister-in-law, Crown Princess Mary, passed the Christiansborg Palace guard on the way to the gala. Along with their husbands, they arrived within an interval of a few minutes and enthralled everyone with their beautiful appearances, providing style and especially magnificent jewelry. Crown Princess Mary surprised with a new, brilliant tiara in her dark hair, and many could immediately recognize the jewel. After all, the diadem actually hung around the neck of Crown Princess Mary on April 8 last year at the party to mark the Queen's 75th birthday at Aarhus. At that time, the diamonds of the necklace flashed in competition with the evening sun and perfectly matched the dark blue velvet Prada dress which the Crown Princess wore. In the jewel faceted diamonds are set beginning from a large central section, and there are also gems in the jewelry at the end of each small white gold stem. The Crown Princess acquired the piece herself at an auction. 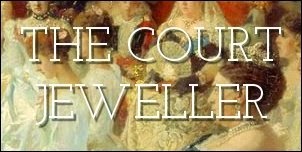 It is rare that this kind of jewelry comes up for sale, so when the Crown Princess became aware of the unique necklace, she hopped to it. The Crown Princess has several private friends within the auction industry, including Nina Wedell-Wedellsborg, who is the Danish director of Sotheby's, so here she has been able to obtain expert help. For the queen's evening gala for art and culture at Christiansborg Palace, the Crown Princess had the jewel mounted on a frame, so she could wear it as a diadem. Whether the piece is made so that it can be disassembled and used alternately as a tiara and a necklace is unclear, but both variants are incredibly beautiful.